Tonight, shortly after six p.m., I headed out towards Sheppard's Bush to enjoy the fall colours. 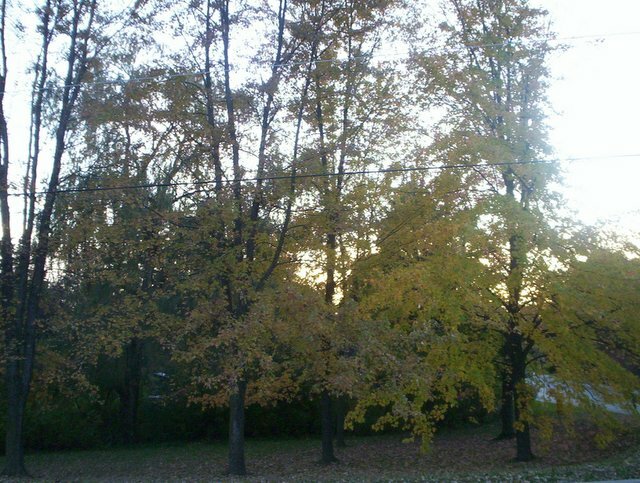 Unfortunately, many of the pictures didn't turn out due to bad lighting within Sheppard's Bush. But at least I got out to enjoy a nice fall walk full of fresh air and rasque squirrels looking for food before winter. The parkette at the corner of Edward Street & Royal Road. 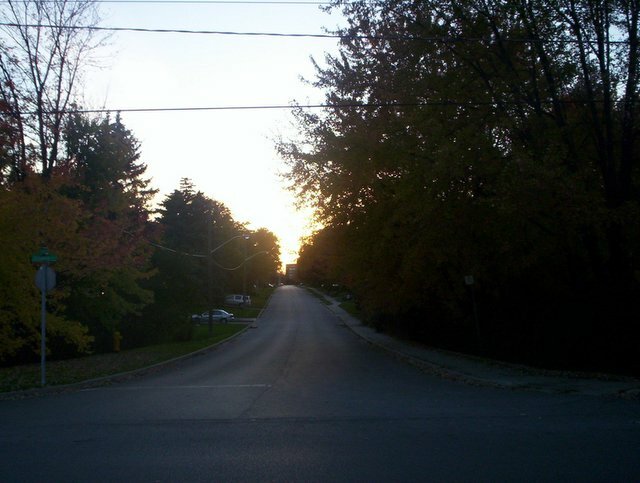 A look down Royal Road at sunset from Edward Street. 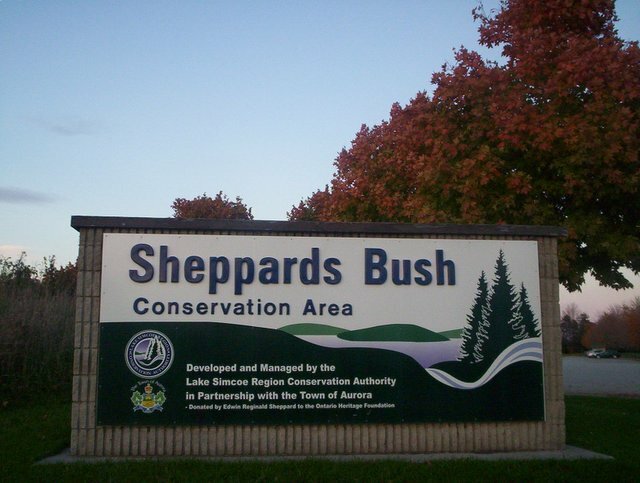 Sheppard's Bush entranceway from Industrial Parkway South. 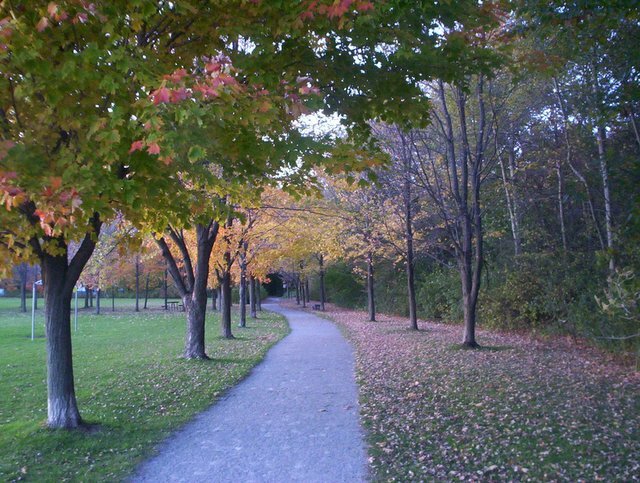 A look down the fitness trail at Sheppard's Bush.